WoW Petopia Community • View topic - Is Faultline become tamable? Post subject: Is Faultline become tamable? I always wanted to tame faultline, I wonder if it is tamable in alpha. Post subject: Re: Is Faultline become tamable? According to the WoW Beta DB and Wowhead, he still isn't. It might be later on since we due for new raid boss tames. I kinda hope the quilins from the Throne of Thunder can become tameable, maybe Galleon, and Oondasta too? I don't think they'll make Galleon or Oondasta tamable simply because they are World Bosses. They still have a longer respawn timer (compared to most mobs), and are still frequently killed for a chance at the mounts that they drop. The best thing to do would just be to make new mobs that use the same skins. 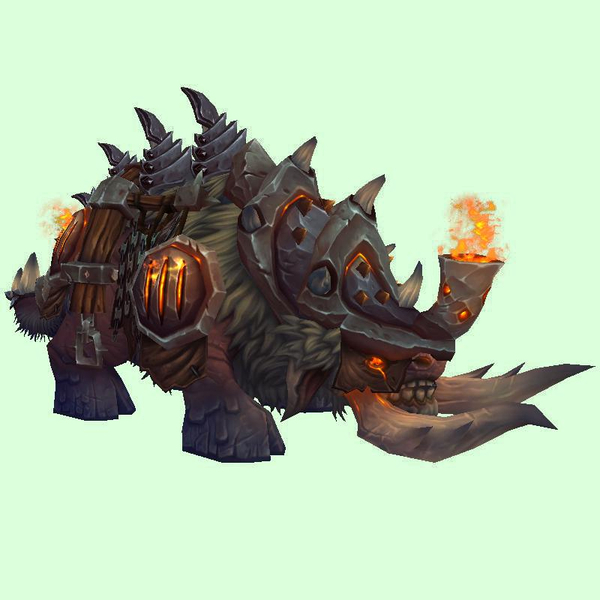 No one ever thought we'd get to tame raid bosses so maybe world bosses would be by chance? Besides it'll make it more challenging anyways. Not really, since you can easily kill world bosses of past xpacs and they can't really hurt you. The only challenging part is not having someone else kill it, which would happen fairly often. You don't have to worry about a random person running in an killing a raid boss. It would just be easier on both the hunter and those that are farming the world bosses if Blizz made separate mobs that used the same skins as the world bosses. I think you're right, it's not implausible. The respawn timer thing is a non-issue. There are tameable rare spawns that are on super long timers. Waiting 15 minutes for Oondasta is inconsequential compared to Arcturis' 8 hours. For other players, there's literally no difference in waiting for a respawn after a tame and waiting for a respawn after someone solos a world boss. Galleon is a little weirder. The fight seems to have some scripting and it's possible that if you tamed him, and all the sauroks (and armour) fell off his back it would break something. Just guessing, of course. Oondasta has scripting, as well. Right when you pull her, she doesn't do anything for a few moments as a scripted event involving a Zandalari Dinomancer plays out. Since the guns on Galleon aren't really on Galleon, it would make it moot to make it tameable, there's smaller Mushan that share the same skin, and there is fight scripting with adds. It might be a simple fix for the scripting for the fight, the bigger change would be to add guns to Galleon's model to make it mean something. So that one is less plausible. The scripting for Oondasta is even simpler than Galleon. All that happens if you kill Oondasta before the script is over is she doesn't eat the dinomancer, and it just stands there. It doesn't effect Oondasta's respawn. Hypothetically, even if it did, "iskilled" could be changed to "(iskilled || istamed)" relatively simply. If she doesn't have aggro on you for the first few seconds, so what, the tame misses and you cast tame again. It's not necessary to invent problems. I have no idea if it's likely blizzard will make Oondasta tameable, I'm not an employee and I'm not privy to those discussions, so it would be presumptuous of me to say it will or won't happen. But there's nothing about the Oondasta fight or model or spawning that leads me to believe it is implausible. To be honest, I doubt Faultline would ever become tameable, since he is technically owned by another Hunter NPC (though there have been a couple of odd exceptions). Every other tameable boss creature in the game (Chromaggus, Thok, the AQ bugs, etc.) is technically not under the direct control of another humanoid or sentient being and is therefore tameable. Yes, I'm aware, that the guns aren't actually on Galleon and that his skin already exists on a tamable model. I'm also aware of that. But we can't say for certain what would happen to her after taming since we can't tame her right now. The scripting could cause issues with her that we can't see. Even still, I doubt that Blizz will make them tamable even if for the sole reason that they are World Bosses. Raid Bosses are different, since other plays don't come into the picture. Hunters would have to compete with people trying to farm for the mounts. A single attack would instantly cancel the tame and draw aggro onto whoever is attacking Oondasta/Galleon. I could even see people griefing Hunters by constantly aggroing and killing them as soon as they spawn. It is petty and ridiculous, but players have done such things before. All of this can easily be avoided if new mobs were created. In the case of Galleon, they could just make a model where the guns are part of it. 1stly, I see no reason for these guys to not to become tamable. There have been beasts that had a rider at the time of taming in the past, and work out fine. Regarding the scripts and the likes, that would pose little interruption in not making something tameable if they wanted to make them so. People have always drooled at the idea of these guys being tamable in some fashion, so who knows. They could always just go and add the same skin on a common something else and make the idea moot (Like they did with Tortos) but personally I think that would be a real shame and take the awe and magic away from what they are and have stood for in the past. I think Fault line would make a great pet (as technically he already is one ) but as others have mentioned, with his current state of already being controlled, they would have to go back in and change it's label or taming eligibility. They have done things in the past to go back and edit beasts to make hunters work a little harder to tame them (like Chimaeron) so I'm sure if they wanted they could do the same for this one. 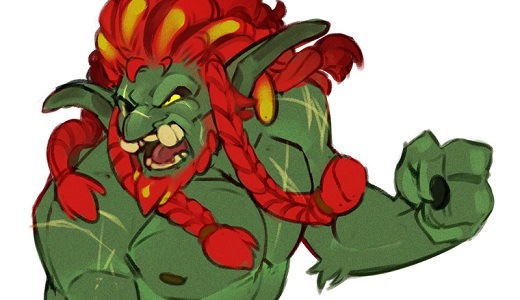 A tameable Faultline would be a nice present for playable Blackrock Maghar orcs. Wow, yeah, that model would be perfect! I wonder if they're going to go as far as differentiate the clans, or if they'll all get the same starter pet. Also forgot to ask, was there a full wolf model under the new Maghar Wolf Mount? Can we somehow suggest Blizzard to make FAULTLINE tamable? I'd also like Ji-kun, please and thank you. Either the ingame suggestion option or the official forums. But no matter which option is chosen, Blizz probably won't respond. If they decide to go along with the suggestion and make it happen, then it'll just happen. There most likely won't be any sort of announcement.